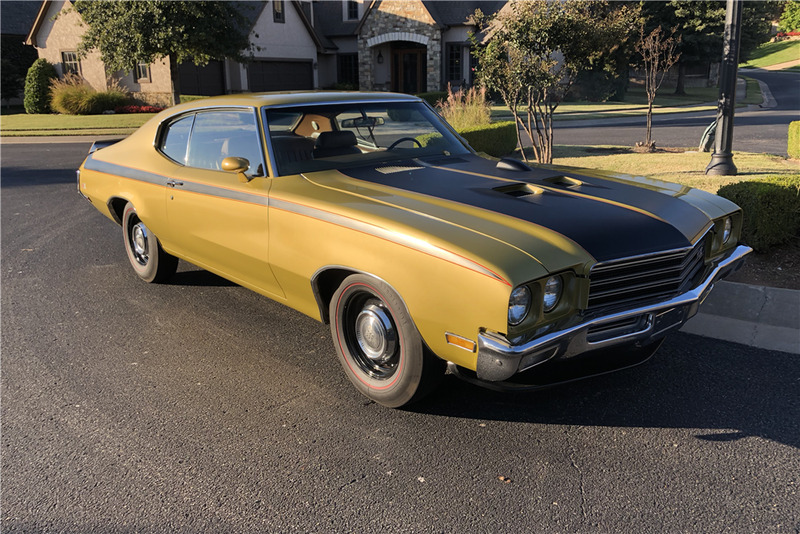 This 1971 Buick GSX is powered by a matching-numbers 350ci 8-cylinder engine mated to an automatic transmission. It is finished in Cortez Gold paint, and is equipped with a posi-traction rear end, power steering, power brakes. It comes fully documented with a Protect-O-Plate and GM of Canada documents.